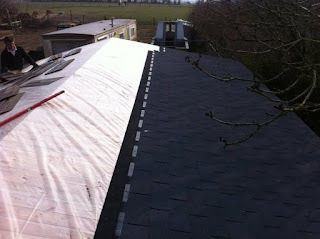 Adddional bitumen roof tiles are avaiable for £230. 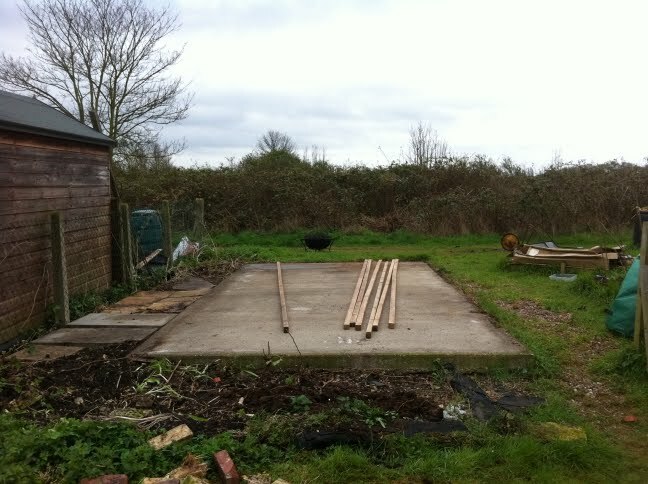 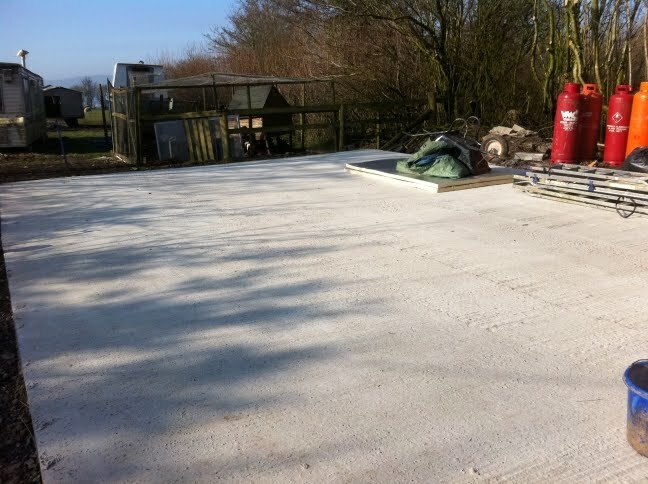 The base of former garage provides the perfect base to start this installation. More chickens this week, becoming a bit of a popular theme during our log cabin assemblies, though not as many chickens as Wales the week before. Cabin was delivered first drop around 7.30a.m. 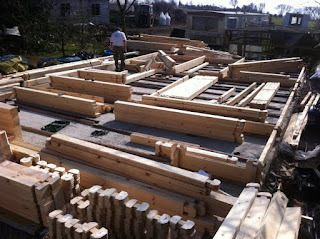 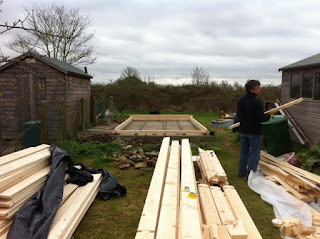 By 10 a.m. we have the timbers in position next the base and assembly can begin. 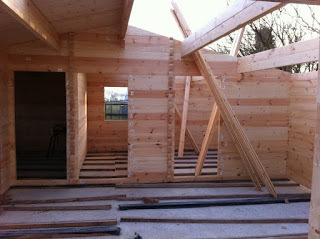 Soon up to roof height and ready to fit tongue and groove roof boards. 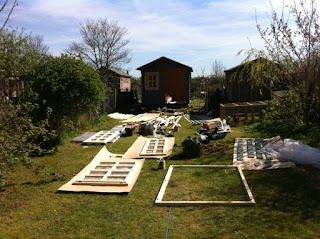 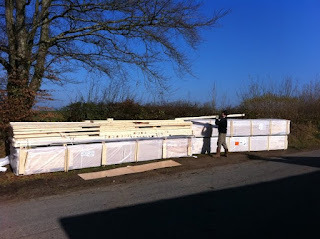 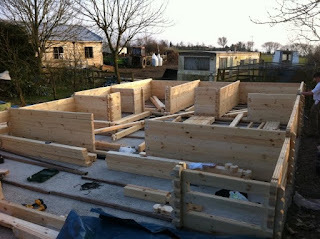 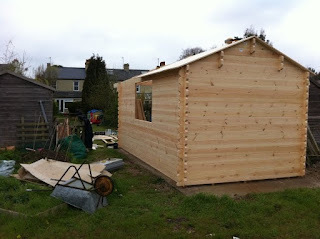 One side complete and roof boards are ready to go on the other side. Bitumen roof tiles are fitted by the end of day one by working late into the evening. 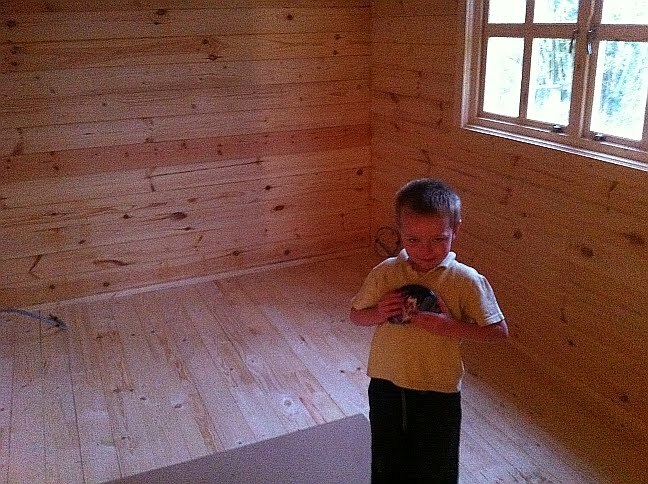 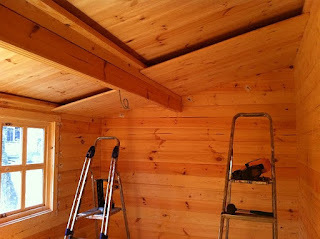 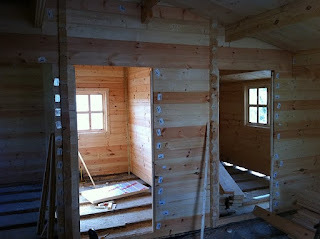 Day two and painting the cabin is well under way. We recommend oil based paints but in this case cuprinol shades were used. 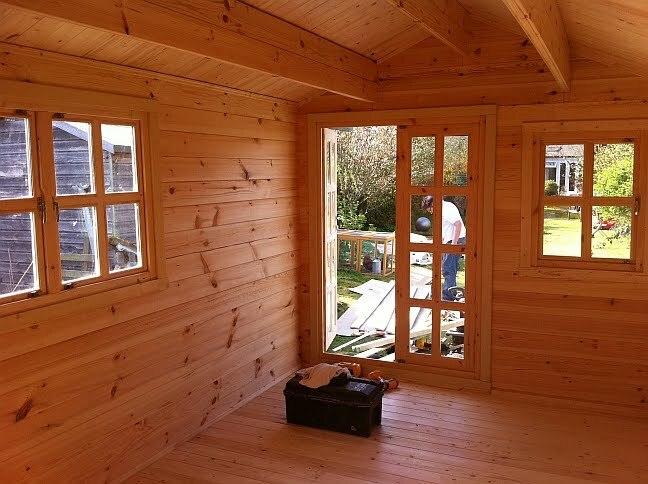 The paint does have quite a waxy finish and peeled from the paint tray in large strips so although not our recommended finish it should provide good protection particularly after the second coat. 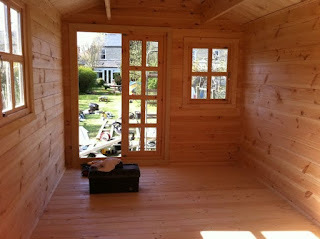 Interior complete as we are not fitting the insulation options in this case. 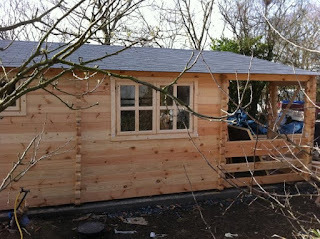 All complete with exterior trim and ready for handover. 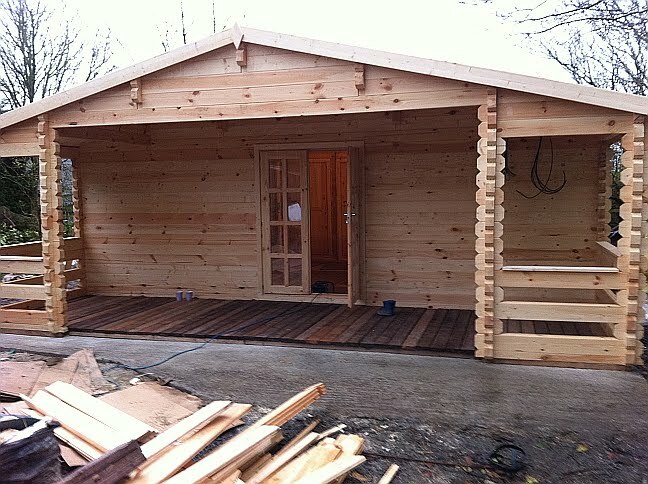 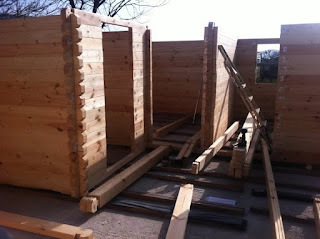 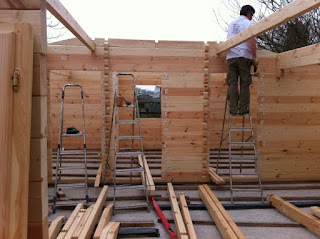 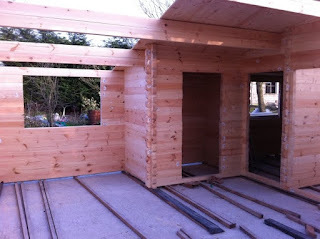 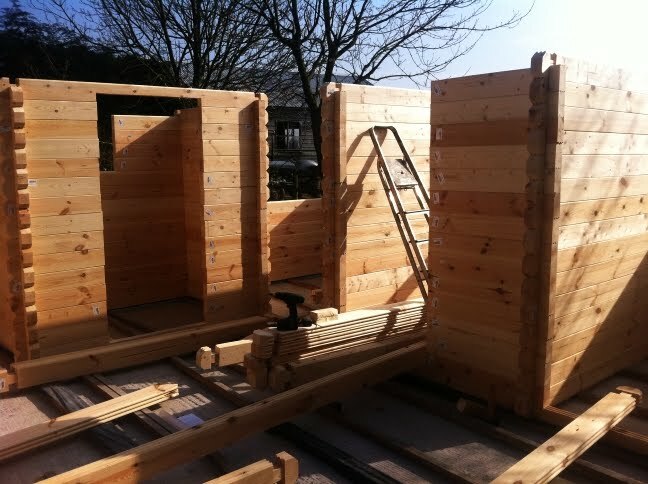 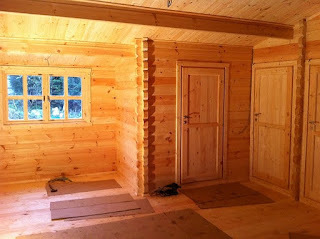 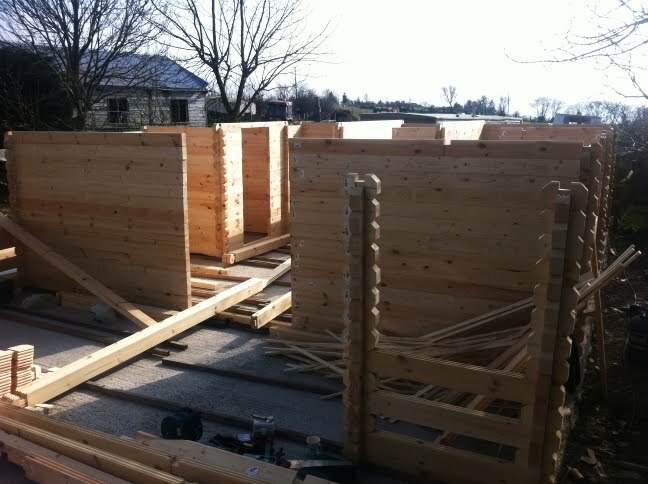 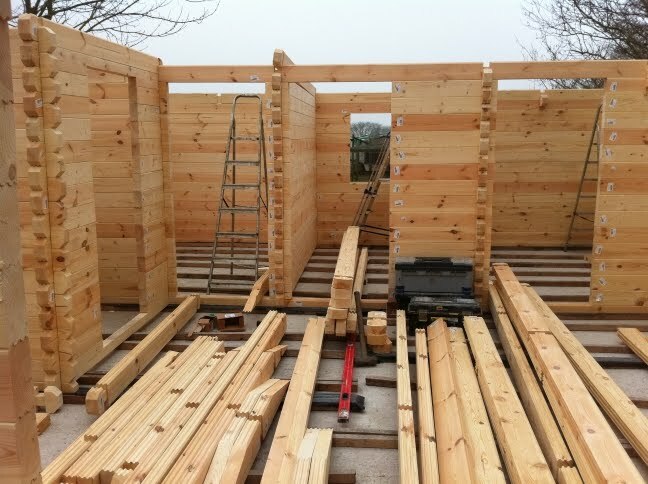 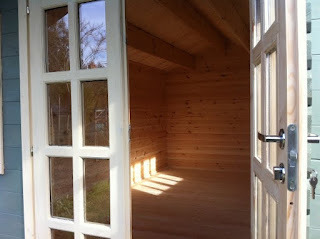 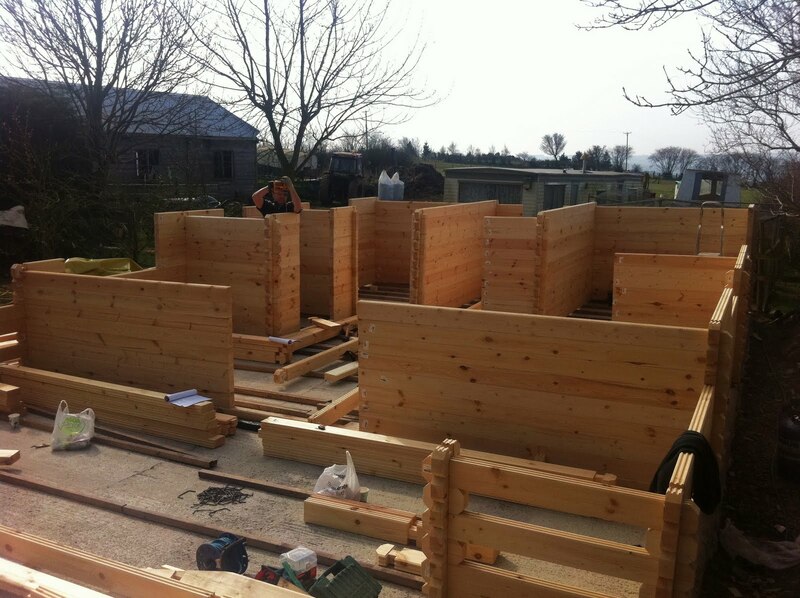 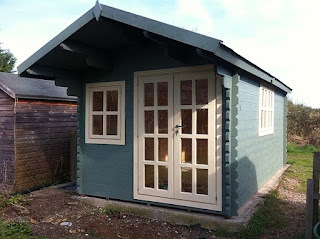 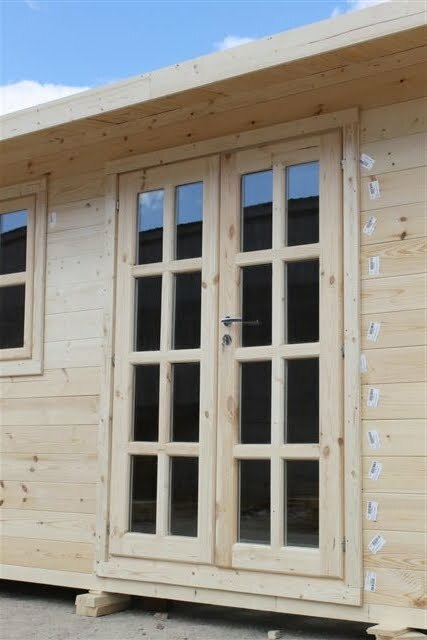 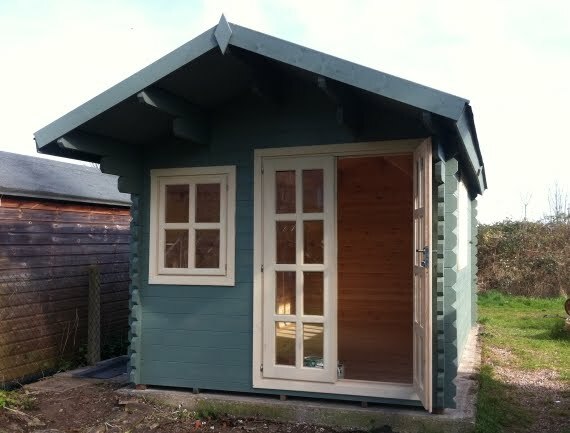 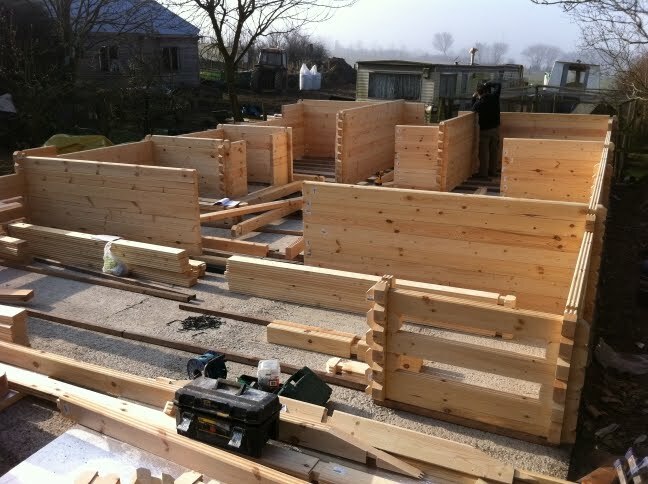 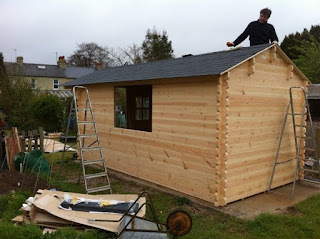 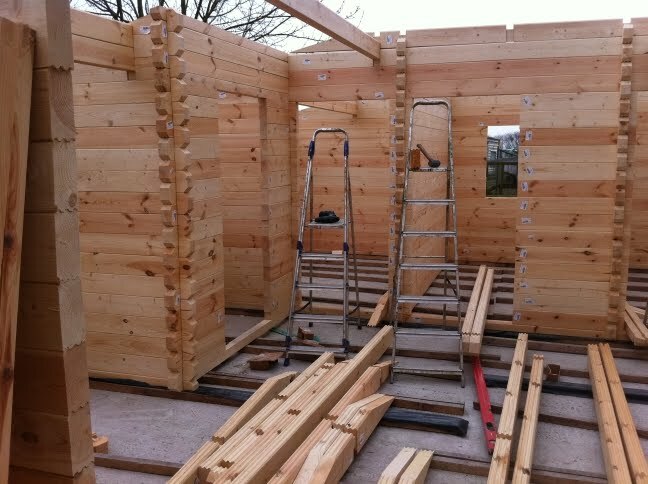 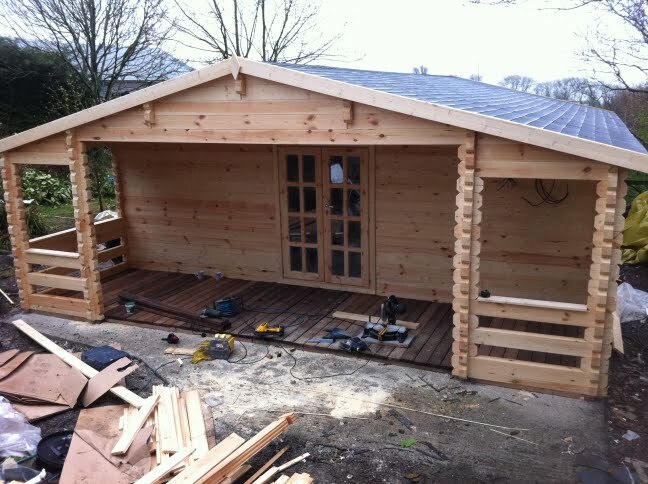 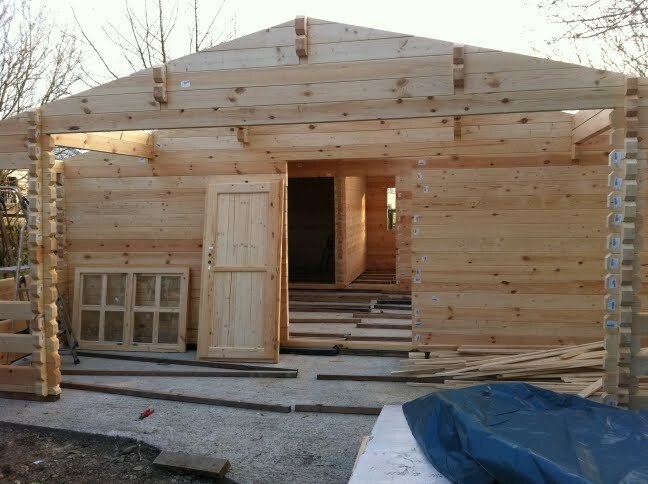 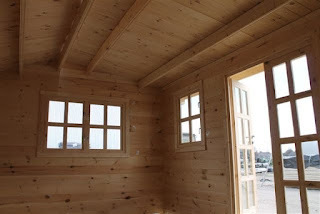 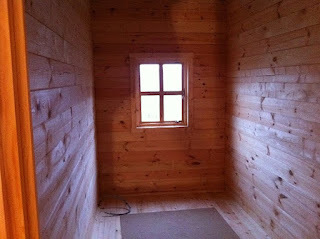 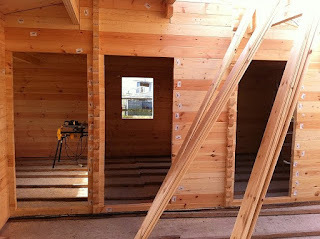 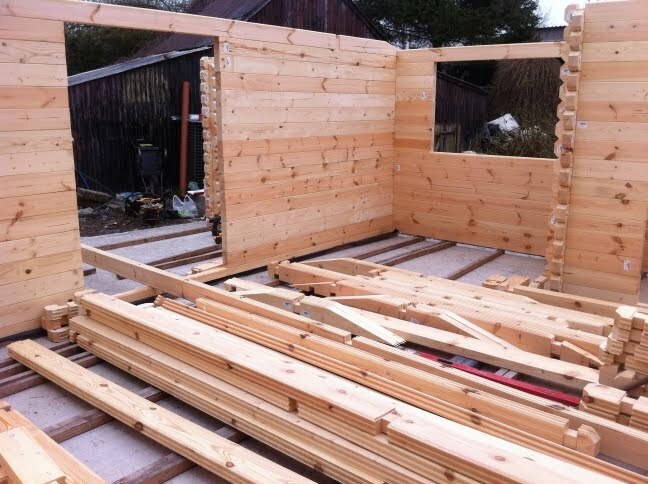 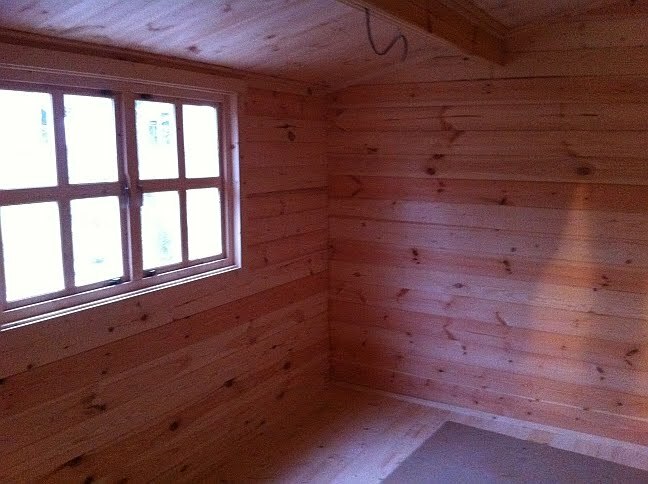 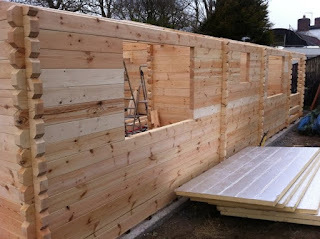 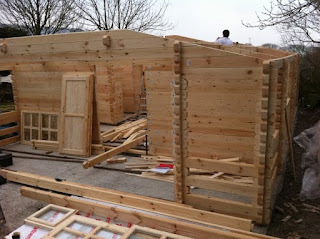 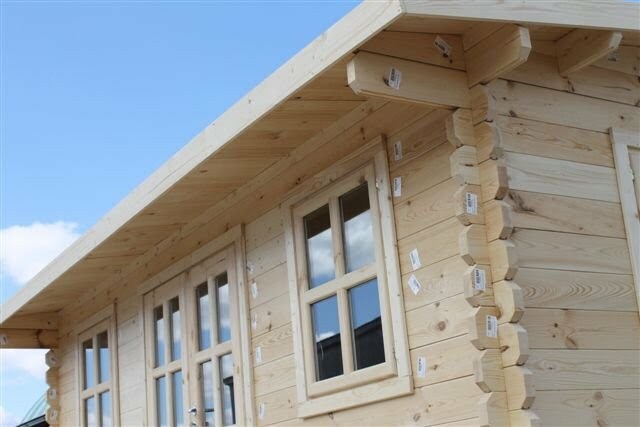 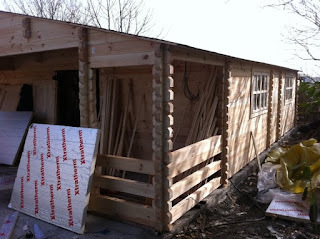 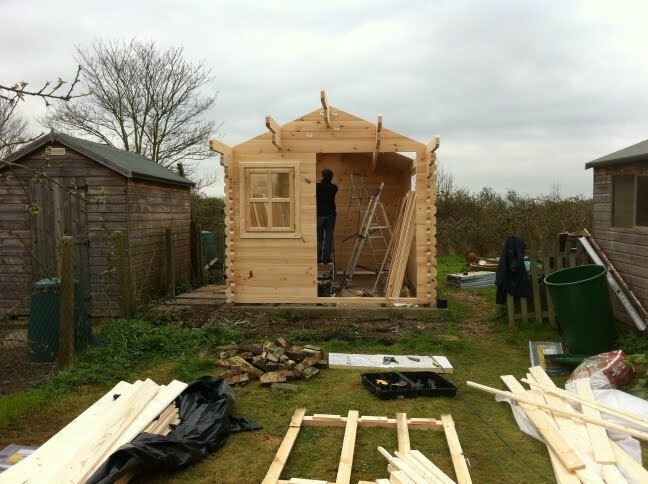 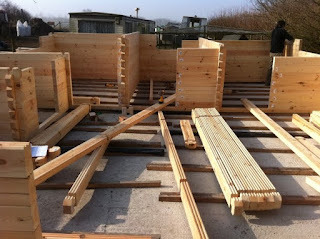 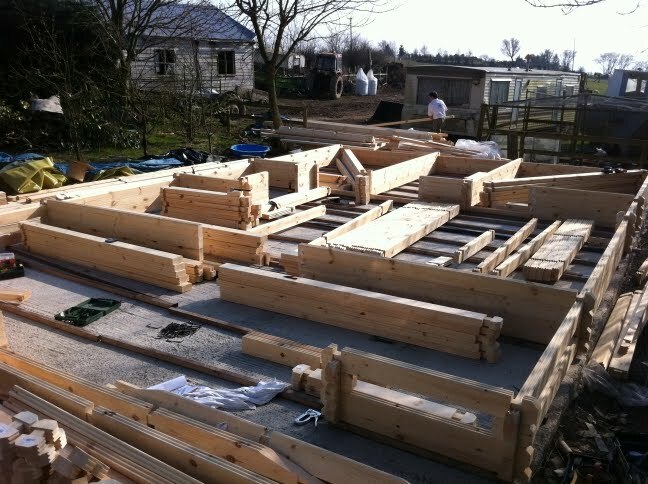 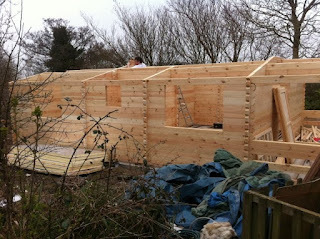 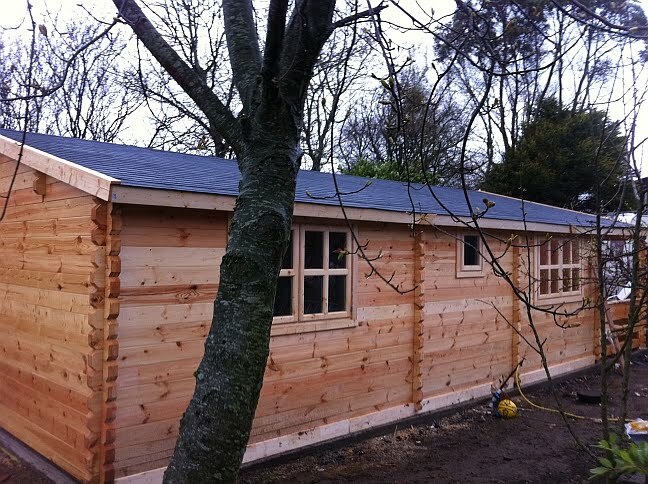 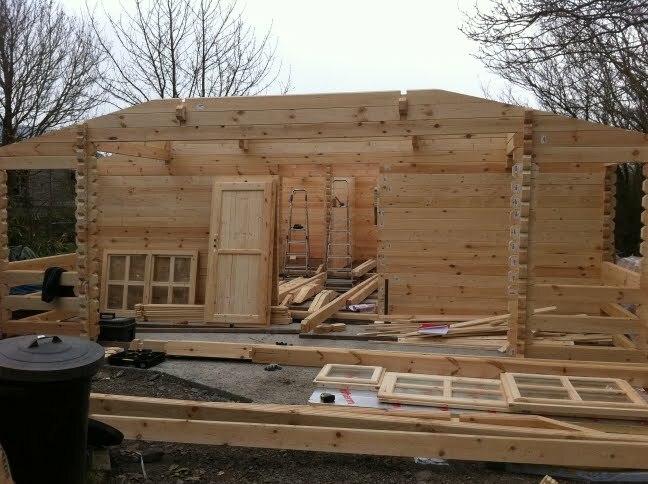 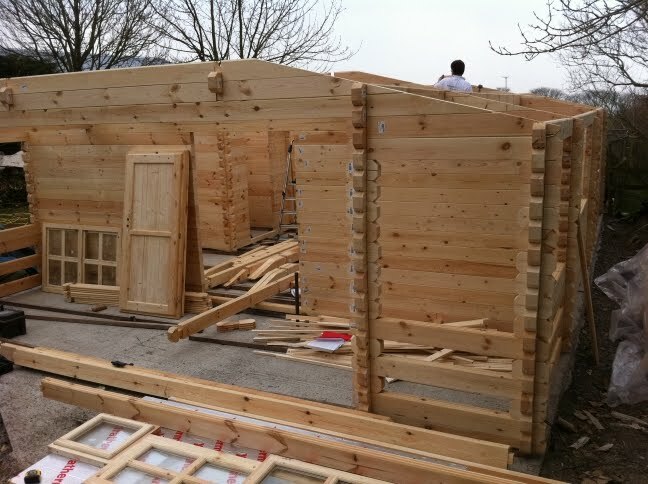 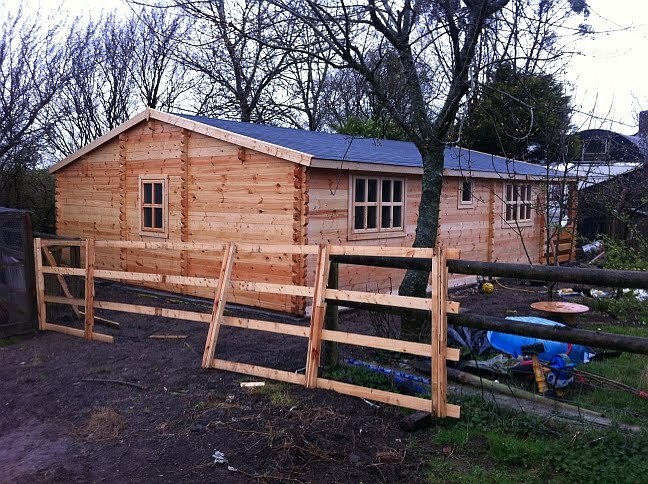 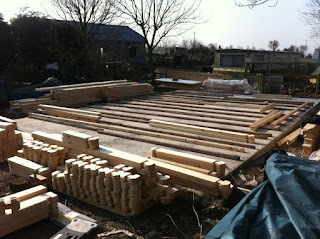 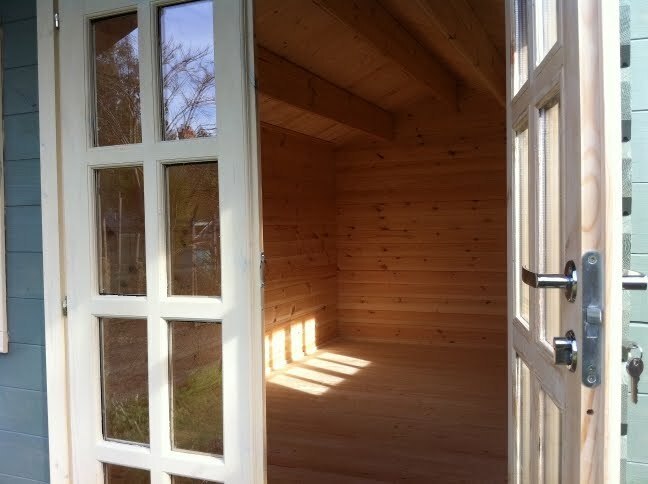 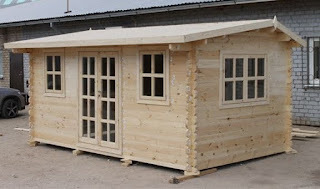 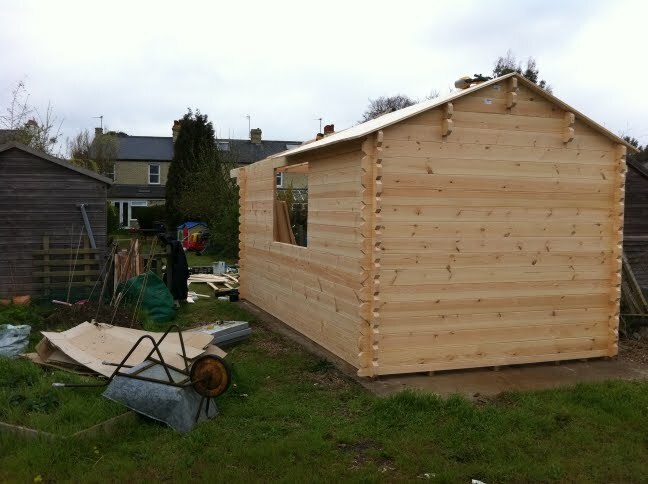 We have been busy building a bespoke 3 bedroom residential log cabin in Wales over the last couple of weeks. 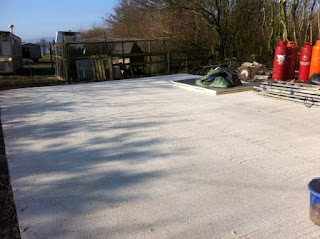 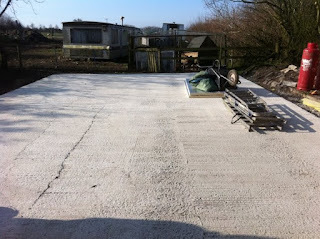 The base was prepared before our arrival by our customer. 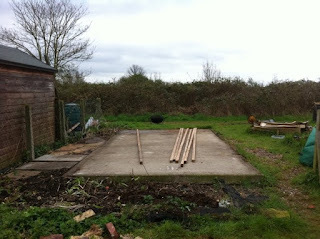 Services are already in place close to the base. 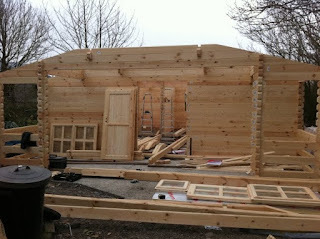 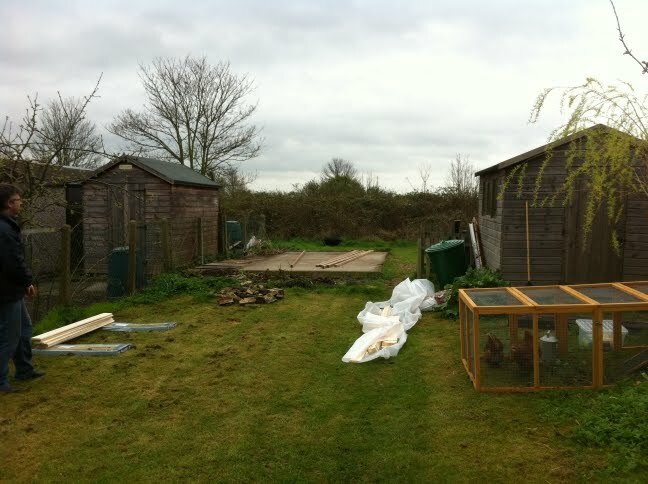 The original caravan removed from its former position ready for the new log cabin.